Lyn Sterling Montagne Handwoven Rugs, handcrafted in Georgia by Lyn Sterling Montagne & co.
Lyn Sterling Montagne’s handwoven rugs combine traditional weaving techniques, distinctive design, and the subtle shades of hand-dyed yarn. Lyn established her rug business in 1982. Her goal was to create a beautiful, practical product that would exactly fulfill each client’s unique design objectives. Since that time, her rugs have found homes in private residences as well as public spaces around the world. The business has evolved over the years, and in 2015, Michael and Zuzana Montagne joined Lyn in creating Montagne Handwoven. 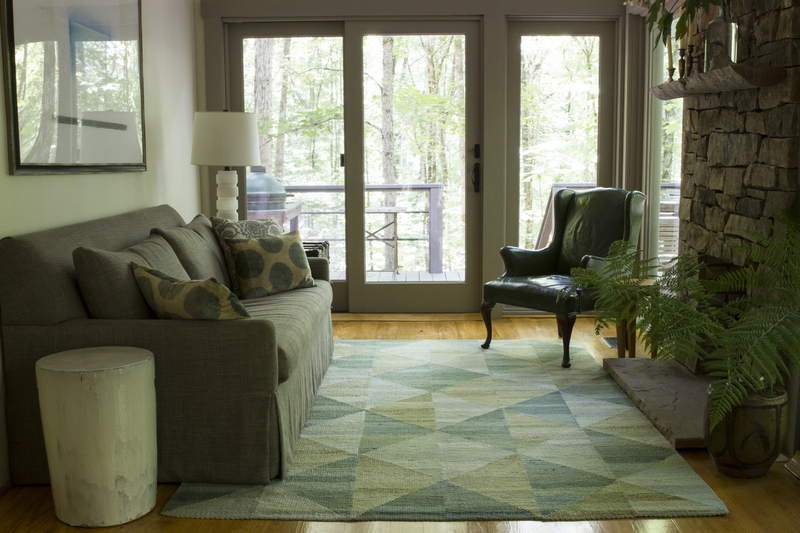 Montagne Handwoven rugs are still hand-crafted in the southeastern United States by a team of skilled artisans, using all-natural wool, cotton, and linen fibers. Inspired by the natural world, contemporary design, and the global weaving tradition, Montagne Handwoven custom rugs are an elegant, functional, durable way to complete a living space.